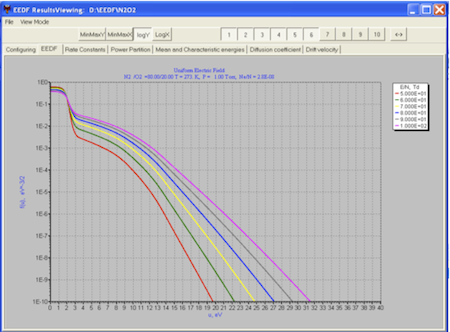 Developed under the guidance of Prof. Napartovich A. P. by Drs. 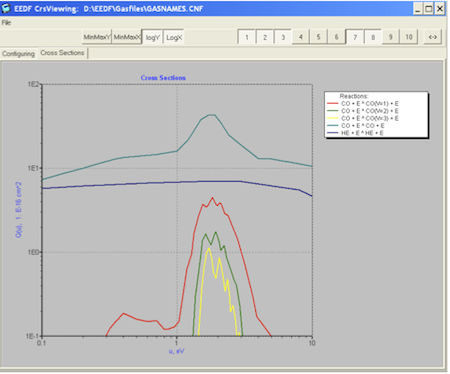 Dyatko N. A., Kochetov I. V. and Sukharev A. G.
EEDF is a user-friendly program for the numerical solution of Boltzmann equation for the Electron Energy Distribution Function in low-ionized plasma in an electric field. 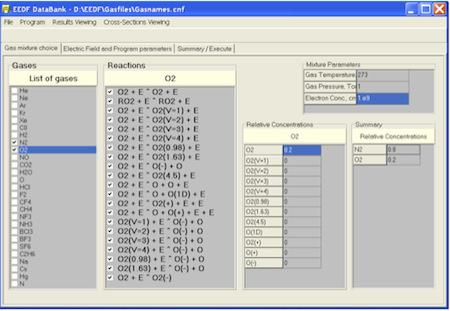 It is used for calculations of electron transport and kinetic coefficients in gas mixtures. Dyatko N.A., Kochetov I.V., Napartovich A.P. 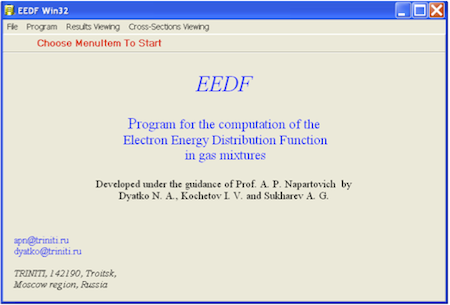 Sukharev A.G. EEDF: the software package for calculations of the electron energy distribution function in gas mixtures, http://www.lxcat.net/software/EEDF/. 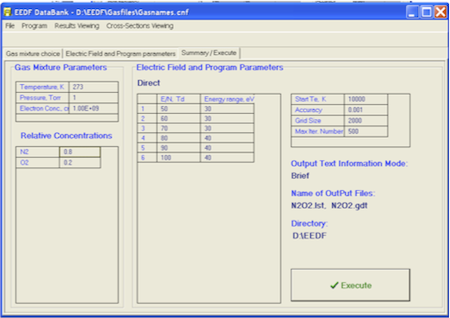 Data Bank consists of a number of files containing data on cross-sections for the electron scattering from atoms and molecules. 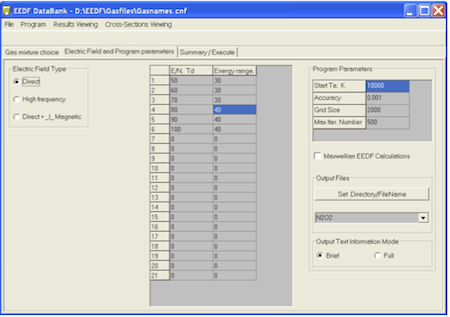 Note: please be aware that LXCat cross sections are not compatible with EEDF program. Copyright © 2009-2019, the LXCat team. The use without proper referencing to databases and software used is prohibited. All Rights Reserved. You currently use FR | NL mirror site.